Quality Steel Buildings, Inc. is dedicated to bringing you the building you want with the options you need at a fair and competitive price. Our friendly, knowledgeable staff will do their best to make sure we meet your specific needs. Whether you're looking for a post-frame metal pole building, an equestrian arena or horse barn or a t all steel commercial project you've come to the right place. As the number one metal building general contractor in the northwest, we work hard to live up to our name. And that's a role were proud to fill. 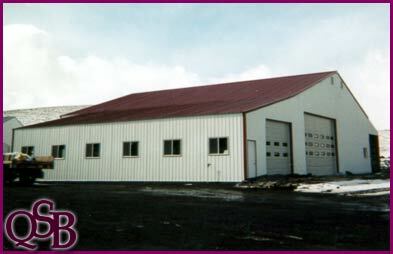 A few buildings styles we build: Metal Pole Barns, Post-Frame Steel Buildings, Equestrian Arenas, Barns with Stalls, Agricultural Metal Hay Barns, Farm Shops, Commercial Shops, Shops with Lofts or Apartments, Garages (attached or detached) with matching siding, Airplane Hangers, Pole Building Homes and Commercial Projects.